It was the day that we were waiting for. 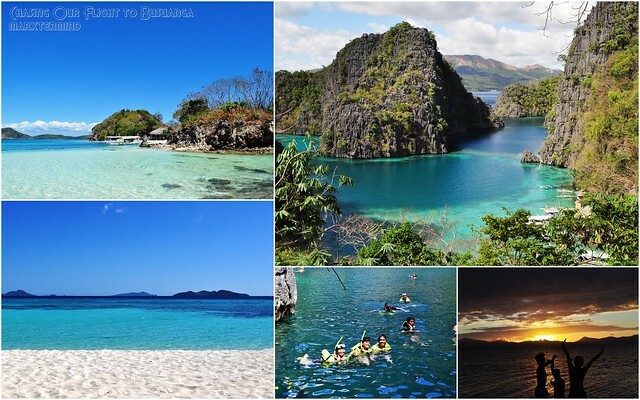 The day for our trip to Coron has finally came and we can’t hide our excitement over this trip. It was my first time to go to Palawan and first time to travel with some of my office friends (should I say ex-office mates since they were not working in our company now). Anyways, it wasn’t my plan to visit Coron this year but because of seat sale last year I suddenly booked ticket to Busuanga along with my office friends. 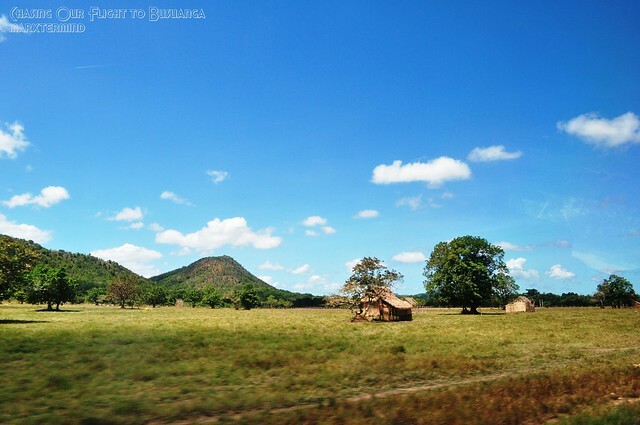 Busuanga is the gateway to Coron and nearby islands. 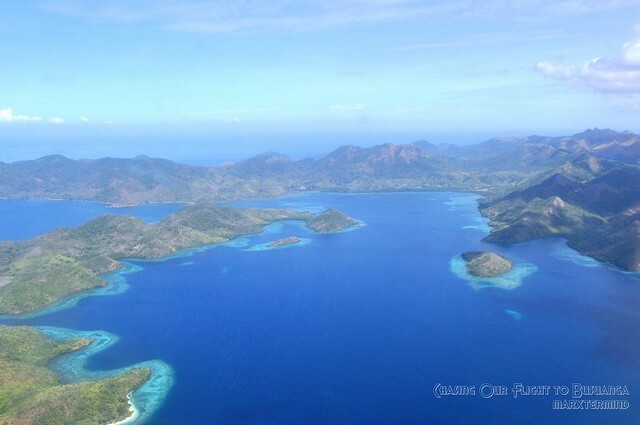 Coron is in the province of Palawan, Philippines on Busuanga Island. The main industries of the province are fishing and tourism, being a popular diving spot. All of my trips are memorable to me but this trip marks a spot as one of my most intense amazing race in catching the flight. We almost didn’t make it but thank God we did make it. 12:00 PM – I went to my friend’s unit, Lyndi so we can buy some items we needed for our trip before we go to the airport. I dropped my bags and we went to the nearby grocery store. 12:30 PM – We bought grocery items, food and snacks we needed for our trip but there’s no available sun block at the store so we’ve decided to buy it at the nearby mall instead. 01:00 PM – We took our lunch first. During our conversation, my friend asked me what time is our flight and I said it’s 3:00 something. My friend answered back, yeah it’s 3:30 PM and so I agreed. Two of our friends were already in the airport and they were able to check in already. 01:30 PM – We dropped by at the mall first and bought sunblock. 01:45 PM – We went back to my friend’s condo and sorted the grocery items. Afterwards, we rushed out and grabbed a cab. 02:00 PM – We were able to take a cab instantly and when we’re already settled I asked my friend to hand over our itinerary tickets so I can check our departure time to Busuanga. And when I saw the time, it’s 3:05 PM! We were shocked. I got nervous because we only had 20 minutes left before the check in counter closes. 02:05 PM – One of our friend was already there waiting for us. We asked him to line up to the check in counter and just wait for us. 02:10 PM – Nervous but still hoping to make it. Reading and hearing a lot of stories on how strict this airline that guests should be checked in 45 minutes before the flight. We were already thinking of alibis to tell at the check in counter in case the counter closes. We actually asked our friend to talk to the airline staff and make alibis like one of us was in the comfort room and having a stomach upset, or we were students and we need to get through because it’s our thesis in stake. 02:15 PM – Our friend sent us an SMS that it was already final call for check in and we needed to hurry up. We were already in the Resorts World Area and we were constantly asking the cab driver to speed up a bit. 02:20 PM – We arrived at the NAIA Terminal 3 and ran fast towards the terminal gate and skipped the queue. We asked the staff we’re running late. They let us pass through the gate without lining up. Thank God! As soon as we entered the building we saw our friend and hurriedly handed over our itinerary ticket to the staff. Wooo! You think all of the running ends there, after the staff handed over our boarding passes, we walked and ran simultaneously towards the terminal fee counter and airport scanner area to the boarding gate since we only had 15 minutes left before our flight departure. When we got to the boarding gate, our two friends were there waiting for us. Our flight was delayed for a couple of minutes. I was so stressed out. It was really intense. I had been to numbers of running at the airport to catch flight but this one was the most intense. And I don’t want this to happen again, that was so close for us not making to our flight. Here are my travel buddies. It was my first time to travel with them. It was Lyndi and Ian’s first time to experience amazing race to the airport. Around 3:15 PM, we boarded the plane. I can’t imagine myself missing the trip in case we weren’t able to make it. But thank God we did. Maybe this trip was really meant for me. 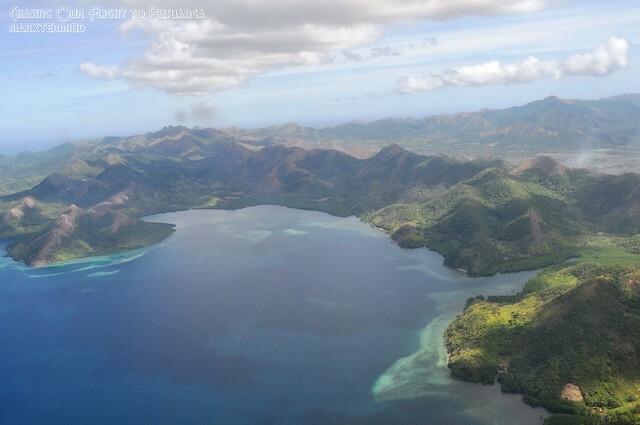 When the pilot announced that we were about to land in a few minutes I peeked through the window to see the view of Busuanga. It was enchanting, indeed. We landed at Francisco B. Reyes airport at 4:30 PM. 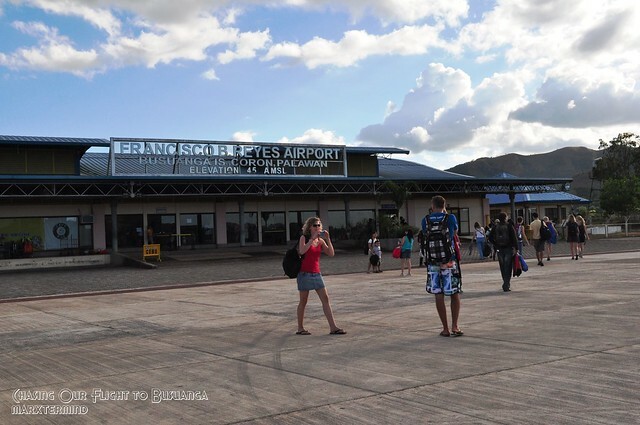 Van is the public transport mean from and to Busuanga airport. Our boatman Kuya Jason recommended a van driver (Kit, 0949276278) to us who will fetch us from the airport to our lodging in Coron. Fare is PHP 150.00 each. I thought we were the only ones who will be fetched but Kit told us that we’re still going to wait for the others who will be coming from the next flight of a different airline. 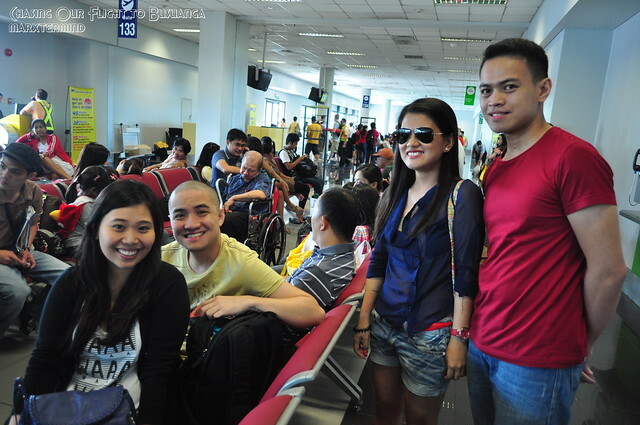 We waited for about 20 minutes and off we went to Coron. Busuanga airport is far from the town proper. Travel time is about 20 to 30 minutes. 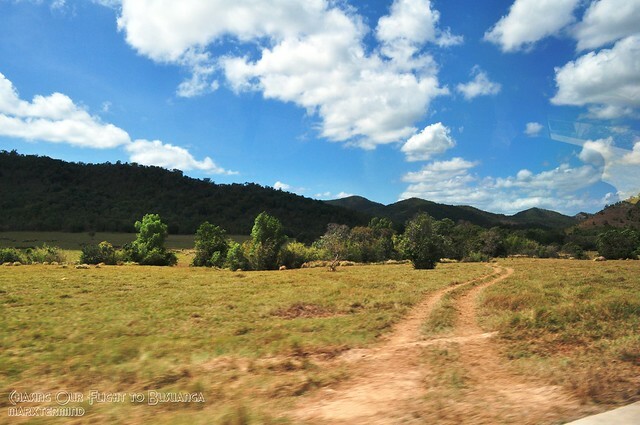 These photos were taken on our way back to Busuanga airport. We saw a lot of cows along the road. Me and my friend, Lyndi were thinking the same thing, the place looked like New Zealand (minus the white mountains, as if we’ve been there). We arrived at our lodging around 5:30 PM. 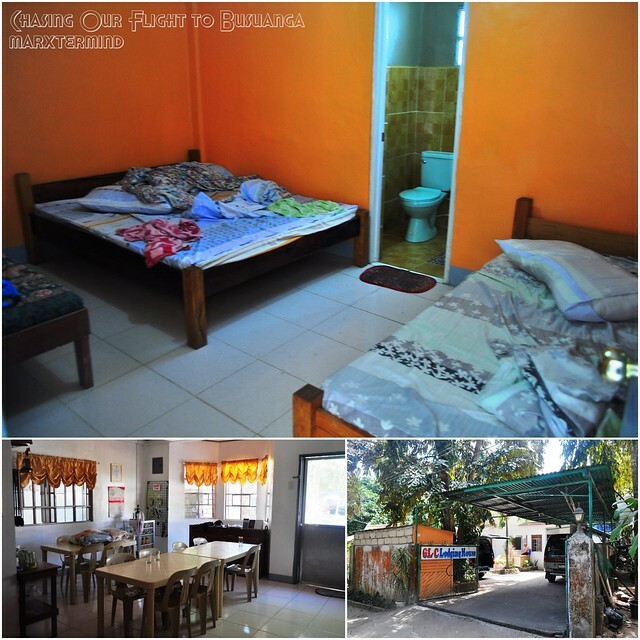 Prior to our trip, I already contacted a person (Malou, 09272967226) for our accommodation. I was actually thinking that we’re going to stay in Kopi Doki but when we arrived in Coron we were told that we’ll be staying in GLC Lodging House. Anyway, that didn’t matter to me because when we got to our lodging I found the people kind and very accommodating. I actually asked Malou two rooms for the 5 of us. The one is a small room which is only good for two persons with double sized bed and private toilet, and the other one for the three of us which is big enough for 3 and can accommodate 5 persons with two double sized bed and one single bed and private toilet. We got these two rooms for only PHP 1,700 per night. GLC Lodging House has a common kitchen wherein you can cook your own meals. They also provide hot and cold drinking water and also coffee if you want to. It was already time for sunset so we had decided to move on and went to our first destination in Coron, Mount Tapyas. I can’t believe me and my friend, Lyndi were able to make to our flight. I know it’s our fault, we forgot the time and we must be time conscious from now on. I can’t imagine myself at home crying all night because I missed the flight or spending thousands to book a regular fare. Though I already prepared myself from paying a regular fare just to get to Coron in case we didn’t make it. Moreover, these could be some of the scenes and views that I will be missed if I didn’t make it to our flight. Oh well, I did make it and now these moments make me wanted to go back to Coron for more. Be time conscious, go to the airport at least 1 1/2 hour before your flight. Van is the mean of public transport from and to Busuanga Airport. Contact Malou, 09272967226 for cheap and good accommodations. GLC Loding House is quite far from the town proper but only 5 to 10 minutes ride from the town. Tricycle is the mean of public transport in Coron. Fare is around PHP 10.00. There are also motorcycle for rent in the town proper. Hi, I already indicated those on my posts just kindly read them. Thanks! Hi my friends and I are planning to visit Coron this October. Can you send me details about your trip, cost for the tour and contact persons for the boat and van? your blog is really helpful TOUR PACKAGE IS TOO EXPENSIVE . So we will just make our own iterinary instead. hehehe.. Thanks in advance. Hi I'll be posting about it on my next entries. Nice post by the way. Very informative. Pinakanakakapagod na airport experience. Hahaha! Lesson learned, agahan ko na talaga! hahaha! wala na kong choice e. Hindi ko rin alam kung bakit 1 gate lang ang bukas nung araw na yun. tatanong ko nga sana kung anong pelikula. Box office! Pero opo.. aagahan ko. hihihi! Better late than never. same case nung coron trip namin, one of my friends hindi na pinapasok. late sya. so instead na umiyak, nagbook sya ng next flight via APX worth 6,000 feysus, one way! Ipon-ipon na for the next trip! Thank you. Thanks for the visit! Agahan mo sa next Sunday ah! hahahaha nice one marx..:) oo nga kakahingal yong ginawa natin pero super sulit naman yong bakasyon 🙂 looking forward to more trips with you..
whew! pati ako hiningal sa kwento mo. Ako din lagi akong nakikipaghabulan sa oras sa airport. Hindi na ko nadala. Nung papunta ako ng iloilo before, dun ako pumasok sa airline crew entrance kasi super haba ng pila sa labas. Nag abot na lang ako ng bente sa guard. this trip is for you talaga.. Congrats!